The Chain Knot, a variation of our iconic Knot minaudière with a slim chain shoulder strap, is remade in the new catena workmanship that debuted on the Fall/Winter 18 runway. The complex process involves gold chains placed under nappa leather, which is then is inlaid with metal studs and laminated cord. The result is a jewel-like embellishment that recalls Manhattan’s sparkling skyline. 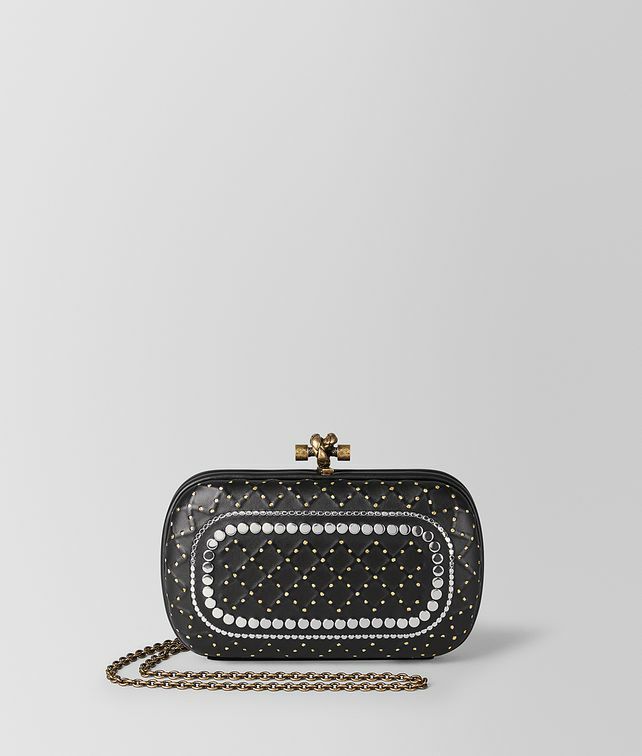 The chain strap can be tucked neatly inside the bag to carry it as a clutch.